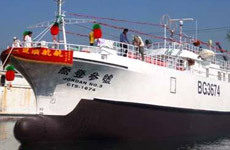 SHING SHENG FA BOAT BUILDING CO., LTD.(SSF), among more than twenty boat builders, SSF was the first boat builder who started to build fiberglass boats in Qijing, Taiwan. For more than 43 years, SSF has been dedicated to designing sophisticated boats and developing their manufacturing technologies in order to stay competitive in the market. 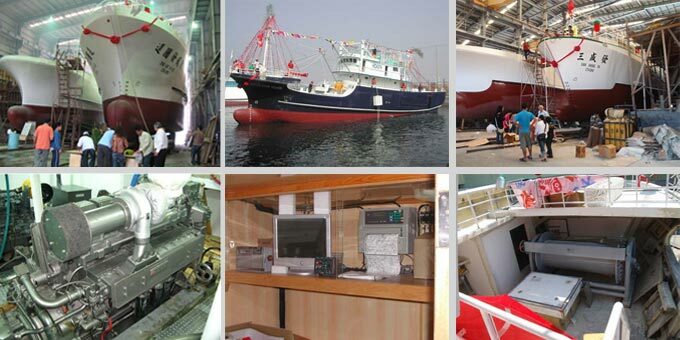 SSF has 100% boat design and manufacture abilities to build boats in compliance with international standards. 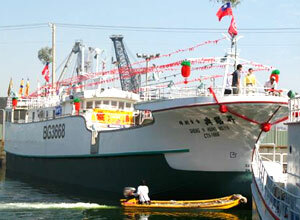 SSF is a Taiwan boat builder who's sold more than 1,000 boats in over 30 countries DNV, CR, LR, BV certifications. 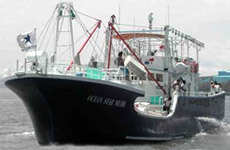 (Fishing boats: an estimated 1,000 boats, passenger boats: an estimated 20, ocean research vessels: an estimated 10, yachts: an estimated 4 and other boats: an estimated 15). After more than forty-one years of success, they have sold their boats worldwide, including fishing boats, passenger boats, working boats, yachts and other boats. For generations, SSF's family members had been fishing for a living and living close to the ocean in a fishermen's village. "When most of fishermen were still using sampans for fishing, they had hired workers to build 40 foot wooden motor boats", Denny Huang recalled. 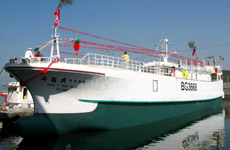 Years later, when Taiwan's economy was booming, SSF started an oil recycling company that was focused on recycling commercial fishing vessel oil. 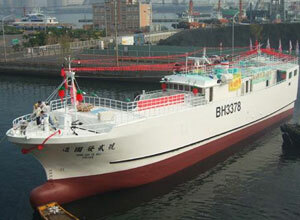 However, while the business was doing great, the Taiwan government decided to take over it due to the new regulations. Therefore, SSF was forced to start a new business. In the olden days, the metal oil and water containers were heavy and easily got rusted. 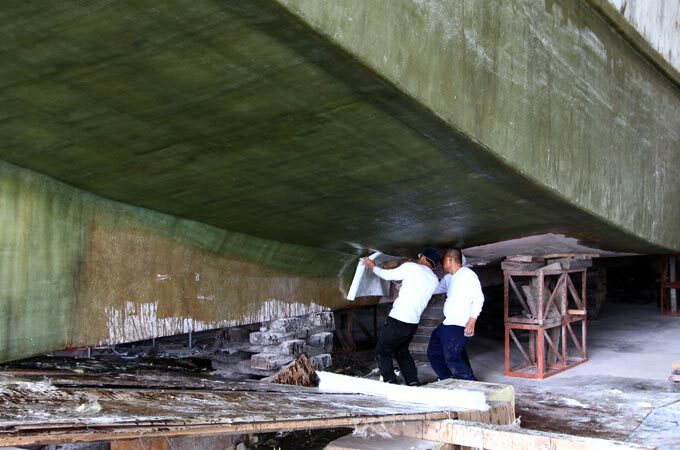 One day, there was a salesman trying to sell fiberglass (FRP), a material invented during World War II, and Denny Huang thought of an idea to use the fiberglass to replace the metal oil and water containers on the fishing boats. The business was prosperous! Every fishing boat owner wanted their metal containers switched to fiberglass ones. 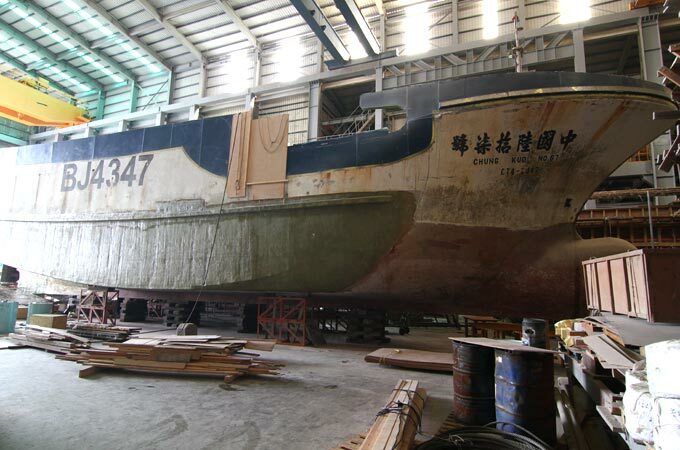 One time, one of the boat owners said to Denny Huang: Denny, can you use fiberglass to build boats? Denny Huang replied, "that's what they use to build boats in some countries." 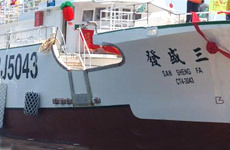 The conversation inspired Denny Huang, in 1971, to purchase an old fish meat processing factory and rebuild it into a fishing boat plant to start his boat manufacturing business. In the first year, SSF built a series of 70 foot fiberglass boats for a fishing company, the next year, they had built nine 95 foot fishing boats. Later, because of the wood control policy, their FRP boat orders went up like crazy. 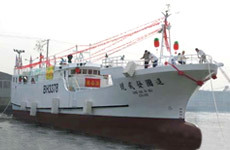 "The first FRP boat builder in Taiwan", SSF became so popular in Taiwan that they started to receive orders from other countries, like the ultra-low temperature tuna fishing vessel they built for an Indonesian fishing company. 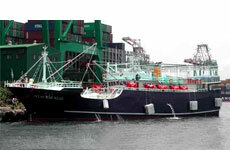 Years ago, fishing boats were required to have minus-45 degrees fridges for fish stock. Later, the rule changed, requiring minus 60-degrees. There were lots of fishing boats that needed to modify their storage temperature, and that's how SSF began their boat repairing businesses. And because of SSF's 43 years of seasonal experience, their boat repairing quality has always exceeded their client's expectations. So far, they have repaired fishing boats from various countries including Taiwan, Australia, Japan, Korea, Philippines, Thailand, etc. *Each boat's specification varies based on client needs, please send us an inquiry for further consultation. 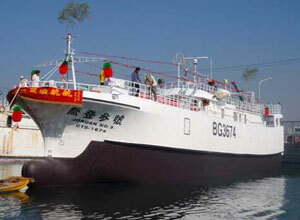 Contact SHING SHENG FA BOAT BUILDING CO., LTD. Contact a boat builder for your boat building, yacht design, boat repair, and boat custom.